One shtick that seems to work for Dodge is its habit of dropping stupid huge engines with obscene power numbers in its cars. First they came out with the 707-horsepower Dodge Challenger Hellcat, and now it’s promising something even crazier, the Dodge Challenger Demon. And this might be it. 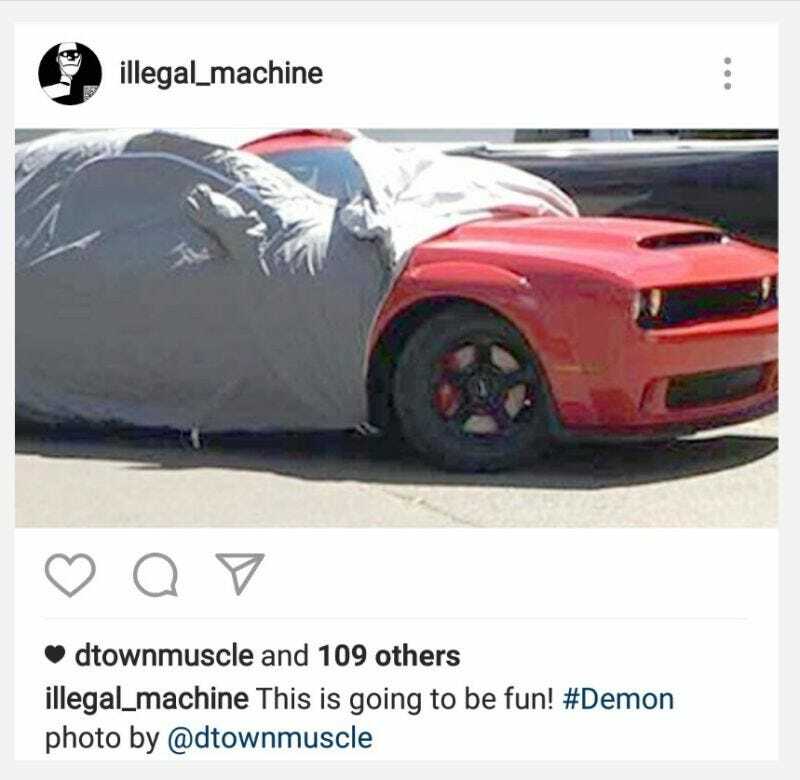 The fender flares and the much wider rubber suggest that indeed the Demon will be a wide body Challenger, while the massive hood scoop should be a clue that we can expect quite a bit more power. Because rule number one of the universe is that if it’s got a big bump, it’s got big power. That’s just a FACT. Jalopnik has reached out to Dodge for comment and/or if they just generally want to spill all the beans to us, and will update this post if we hear back. Is This A Widebody Dodge Challenger ADR Hellcat Mule Or What?